Function: Established in November, 2005, the Hispanic Business, Trade and Culture Commission serves as a statewide advisory body to the Department of Economic Development, on trade and investment issues of importance and relevance to the Hispanic business community in Missouri. 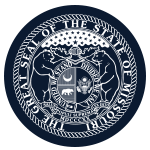 Member Requirements: All members of the Commission shall be legal residents of the United States and registered voters in the state of Missouri. The Commission shall be composed of not more than fifteen citizen members and one ex-officio member, who shall be an employee of the Missouri Office of International Trade & Investment. The Director of the Department of Economic Development shall appoint all citizen members of the Commission and shall designate the Office of International Trade & Investment member. The Governor shall appoint the chair and vice-chair.